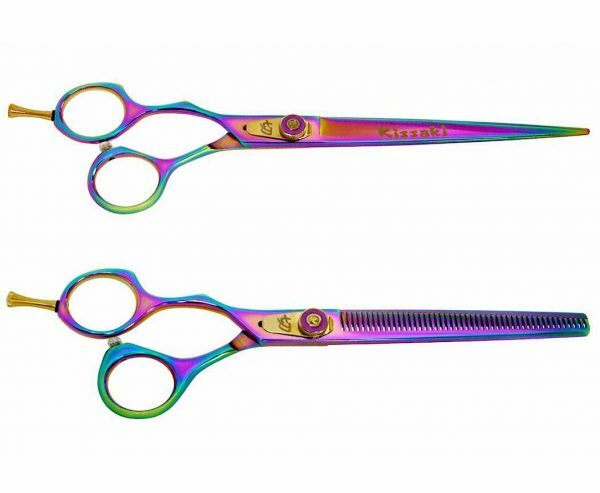 Kareru L 7.5″ Left Handed Dog Shears & Nagasa L 48t Set Rainbow Titanium. 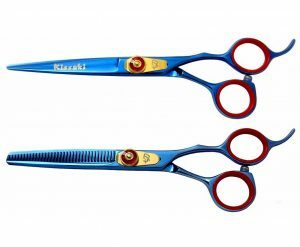 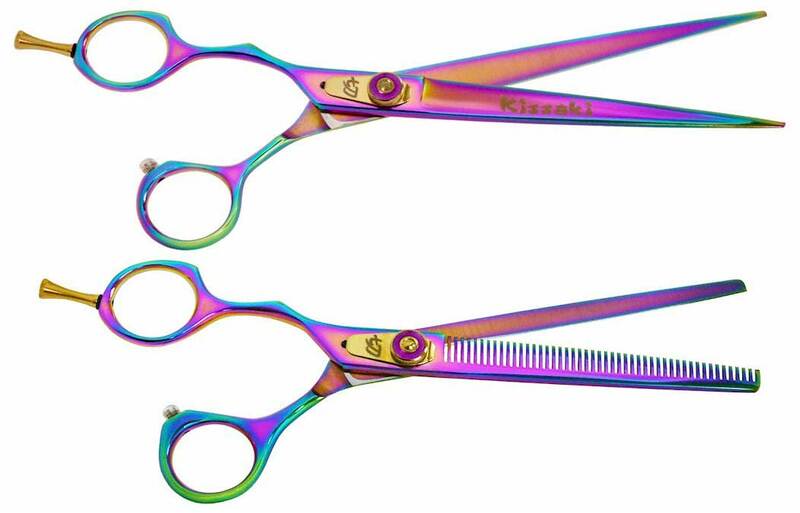 This a Kissaki Left Handed matching set of pet grooming shears consisting of the Kareru L 7.5″ Left Handed Dog Grooming Scissors Rainbow Titanium & the Nagasa L 7.0″ 48 tooth Left Handed Rainbow Titanium Thinning Shears. 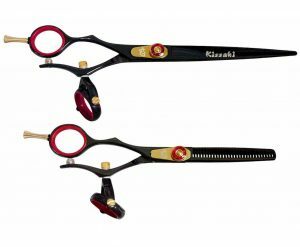 Featuring an offset grip for extended comfort and the easy click leaf spring adjustment knob for quick and convenient tension adjusting. These Kareru L 7.5″ Left Handed Dog Shears & Nagasa L 48t Set are ideal grooming scissors for Left Handed professional pet groomers working with Dogs & Cats. 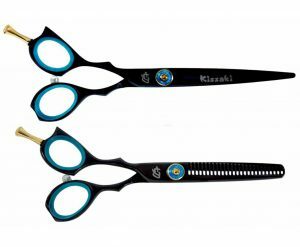 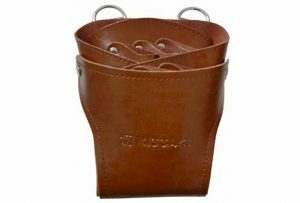 All Kissaki Hair Scissors are Lifetime Guaranteed and come with our beautiful custom shears case including lubricant, finger sizing ring inserts and a leather cleaning – polishing cloth.